The most common question I’m asked is: is how do I shoot faster? Now that really isn’t the question, since it’s simple to shoot faster - you just pull the trigger faster. The question really is: how do I shoot faster and keep a good group on my target? Let’s face it, this is the most important and yet often glossed over aspect of utilizing a handgun. People don’t want to revisit shooting fundamentals because they’re sure other manipulation skills are more critical, whether for defense or competition. But that’s not true. Whether you have any success with your firearm is completely dependent on your shooting fundamentals. Your shots will only count, defensively or competitively, if you hit what you want, when you intended to do so. So start there. Really go back and review your Shooting Fundamentals: Stance, Grip, Sight Picture, Trigger Press, and Follow Through. If you’re not using the DMT method, you may be doing yourself a disservice and preventing yourself from ever getting faster, so it’s really important to get these fundamentals right. And for shooting fast, really concentrate on the Grip, Sight Picture, and Trigger Press. Let’s take one of these areas as an example: If your trigger press is wild, flinchy, or undisciplined, the likelihood that you will be able to shoot with speed and accuracy is greatly diminished. If you can’t press the trigger correctly when you go slow, you will most certainly be unable to do it when you go fast. The trigger press cycle has four parts. Starting from Staged (slack out pressure on the trigger), there is a gradual increase in pressure on the trigger until the mechanism is released or Break. Then there is the removal of pressure on the trigger to allow the internal mechanisms of the handgun to Reset, and you are back to the Staged position of the cycle. Too many shooters make the error of trying to develop speed by increasing the top half of this cycle: Staged to Break. The problem is the shooter doesn’t develop a disciplined Reset and the trigger press cycle turns into Slap-Slap-Slap instead of Press-Reset, Press-Reset, Press-Reset. This is where the development of Rhythm can help. Using a Shot Timer or a Metronome App on a phone, set a 1 second split time rhythm or 60 bpm on the metronome. 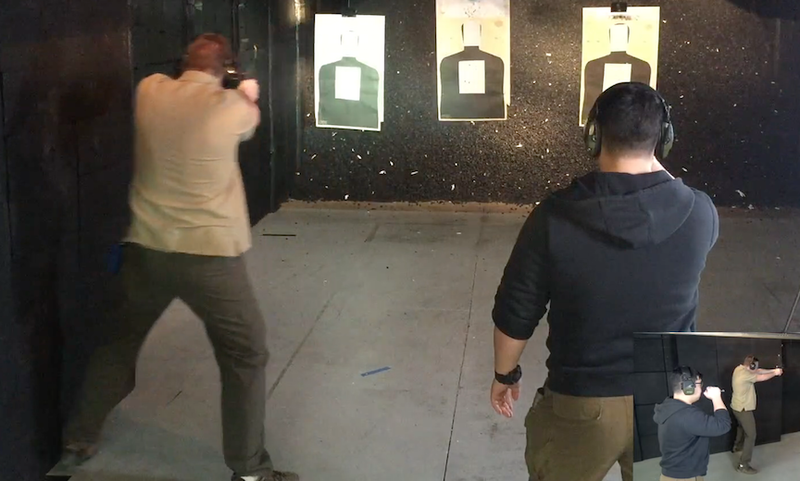 Then using a SIRT pistol, work on getting the Reset Phase of the trigger press to be faster and yet disciplined. Instead of whack whack whack on the trigger with the beat, focus on pressing slowly on the trigger on the down beat and very, very, very quick Reset to Staged on the half beat. The feel here is like Press-superquickreset…Press-superquickreset. Develop that discipline and then steadily increase the split speed. I find it easiest to simply double it. So if you’re shooting an effective 1 inch group at 15 feet with 1 second splits (60 bpm), then speed up to .5 second splits (120 bpm). Once you’re back to the roughly 1 inch group at 15 feet at that speed, double it again to .25 second splits (240 bpm). At 15 feet, for defensive engagement, you’re looking for an effective and consistent 3-6 inch group. If your groups are smaller than 3 inches, speed up. If your groups are bigger than 6 inches, slow down. “Shooting Fast” is not the same thing in all cases. Take the image to the left. The shooting speed at which you can maintain the standard of accuracy at target #1 is in no way the same as the speed to maintain the standard of accuracy at target #3. For target #1, at 10 feet and a large standard of accuracy for success, your split speeds should be very, very fast. When you move to target #2, at 20 feet and the same standard of accuracy, you’ll need to adjust your split speed a little because you’ve changed the range to your target. For me, this would be going from splits at .12-.15 to .18-.20. But then we get to target #3, a much, much smaller standard of accuracy at 50 feet - 5 times farther than target #1. You cannot have the same split speeds as targets #1 OR #2. You would have to slow those splits down yet further. 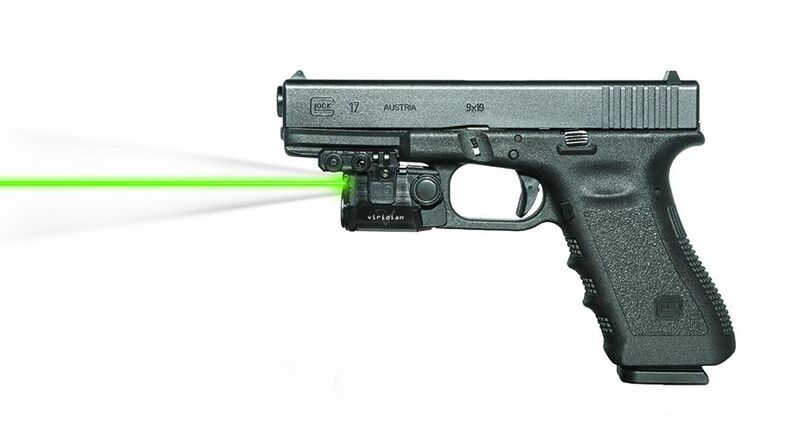 For me, this would be like .6-.8 splits to maintain an effective round placement on target #3. What does this mean? It means that if I draw and put 2 shots on target #1 at a range and standard of accuracy appropriate speed, I could get two shots on target in 1.3 seconds. But, if I did the same drill at target #3, it would be two shots on target in 2.5 seconds. In both situations, this is “fast,” BUT it is appropriately “fast” for the range and standard of accuracy necessary to successfully complete the task. So, how do you “shoot fast?” Work on your shooting fundamentals until you can’t get them wrong. Practice developing a “disciplined” trigger cycle so that each press and reset are definitive and fast and in good rhythm. Finally, understand that your speed is, and should be, dictated by the range to the target or threat, and the standard of accuracy required for success.